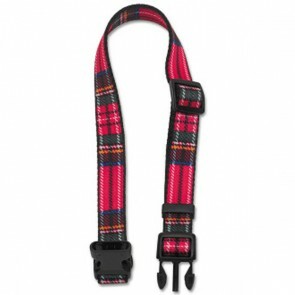 The Nylon Dog Collars Shown Below are manufactured using High Quality Soft Webbing which is both Durable & Comfortable, with High Quality Fixings for the complete range of patterned nylon dog collars, that includes; Tartan, Reflective, Bone N' Paw & Hologram Dog Collar Designs. Nylon is one of the strongest man made fibres which is colour fast, completely weather proof, very difficult to chew through and is suitable for most breeds of dog. Also available on this website are matching dog leads with Strong Triggers. We stock a large range of Nylon Dog Collars & Leads suitable for all breeds, just look at the other pages on this website Reflective Dog Collars, Nylon Check Chains, Adjustable Dog Collars, Nylon & Chain Dog Leads, Reflective Dog Leads, Rope Dog Leads, Show Dog Leads. 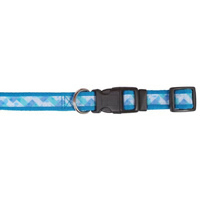 Pattern Nylon Collars: 5 stars out of 5 based on 6 user reviews. This is definitely the best online pet supplies site - not only is it a lot more reasonable compared to many other online sites but the service is impeccable!! I can only recommend others to try it.